We love our packaging, just check out some of our pack designs. 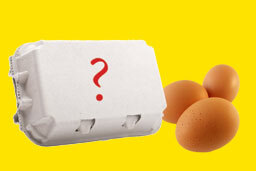 We try to keep them fresh and trendy with a little added humor but our eggs don't just come in farmlay boxes. 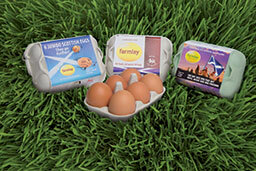 We can produce eggs into own brand packaging as we already do for some of our big clients, our fancy egg grader can pack into almost any package from minimum weight packs to catering trays.